We are very happy with the prompt and professional way our donation was handled. From the emails and phone calls to the young man who came to tow our vehicle away. This was our first time making a donation this way. We are happy that the money received for the vehicle is going to Manitoba Cancer Care. 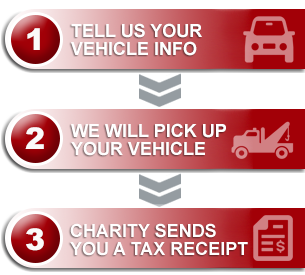 We will definitely recommend your services to anyone wishing to donate their vehicle and in return support a charity of their choice.